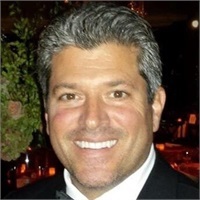 Originally from Syracuse, New York, Brian graduated from Johnson and Wales University in 1989 and spent many years in the New Jersey/ New York City area in sales and corporate leadership. Brian relocated to the Nashville area 18 years ago and has been in the business of protecting families through Insurance and Financial Services since that time. Brian is married to his wife, Darla and they have two children, Chelsea and Bronx. Chelsea is a hair stylist at Juel Salon, and Bronx is a 5th grader at Hunter’s Bend. Together the family enjoys traveling, cooking, real estate investing, and all types of sporting events. Brian is an avid fan of the New York Yankees and the Pittsburgh Steelers. Brian volunteers with the Grassland Youth Athletic Association as a basketball coach, and also supports the Middle Tennessee Boxer Rescue. He and his wife are the proud parents of two boxer rescues Nyxx and Hank. They attend Christ Community Church in Franklin.